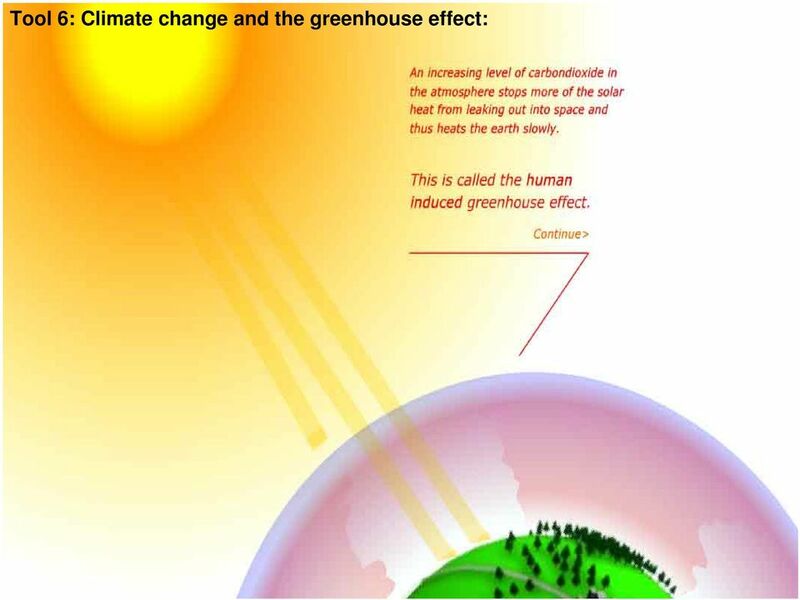 Download "4. 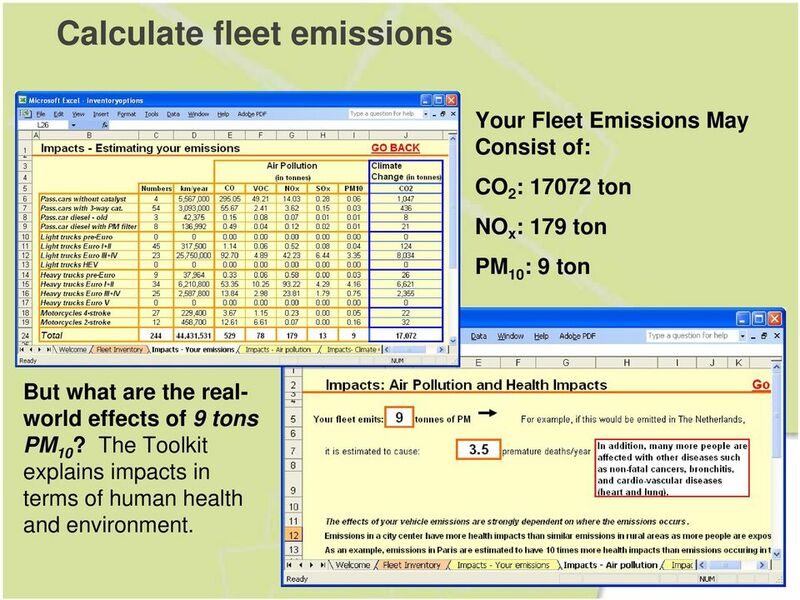 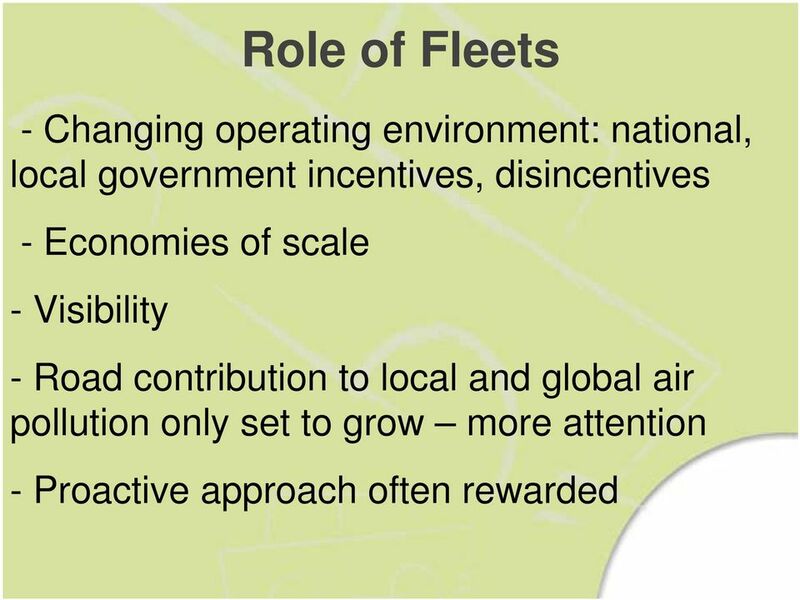 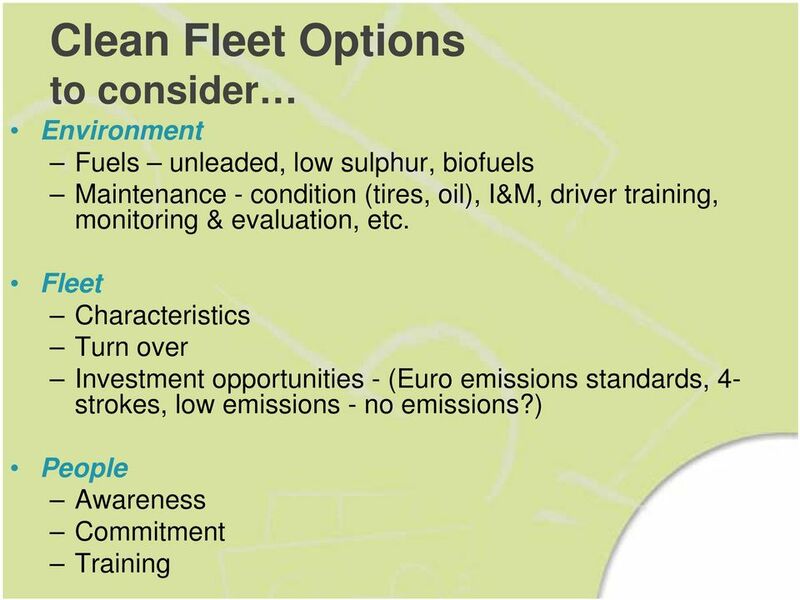 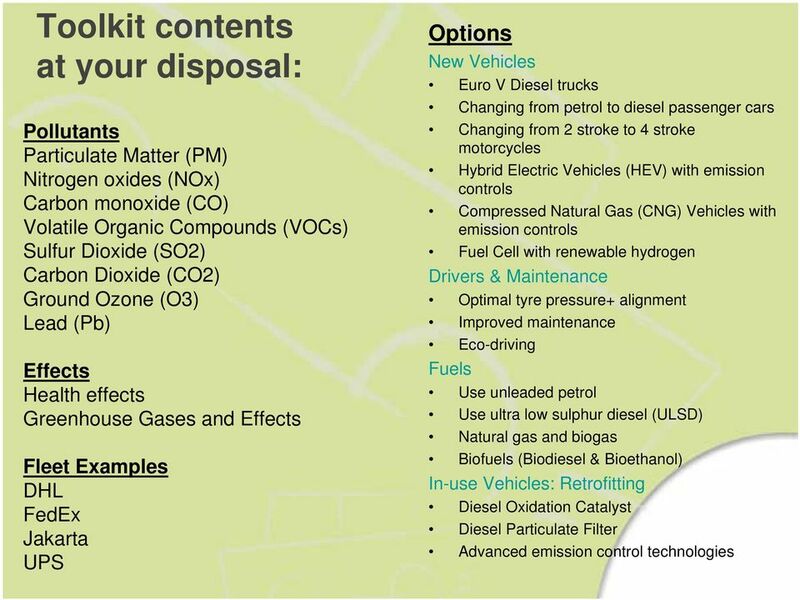 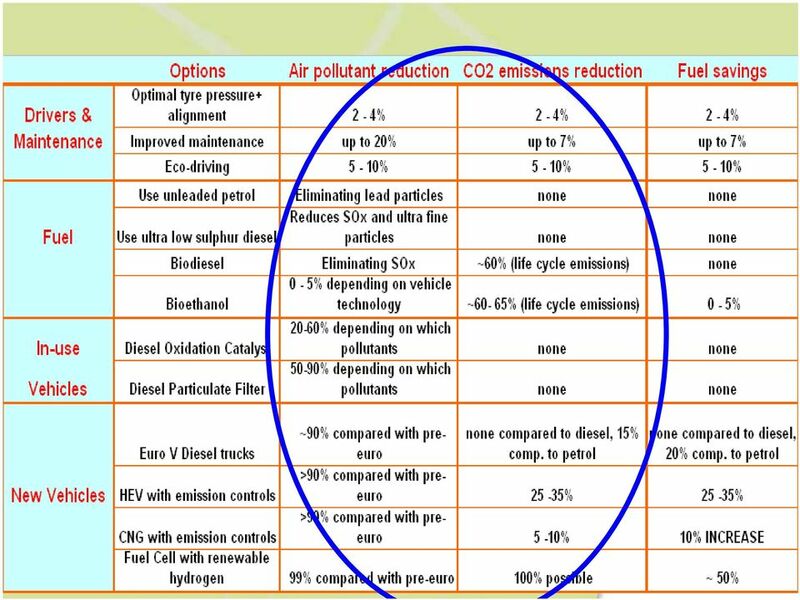 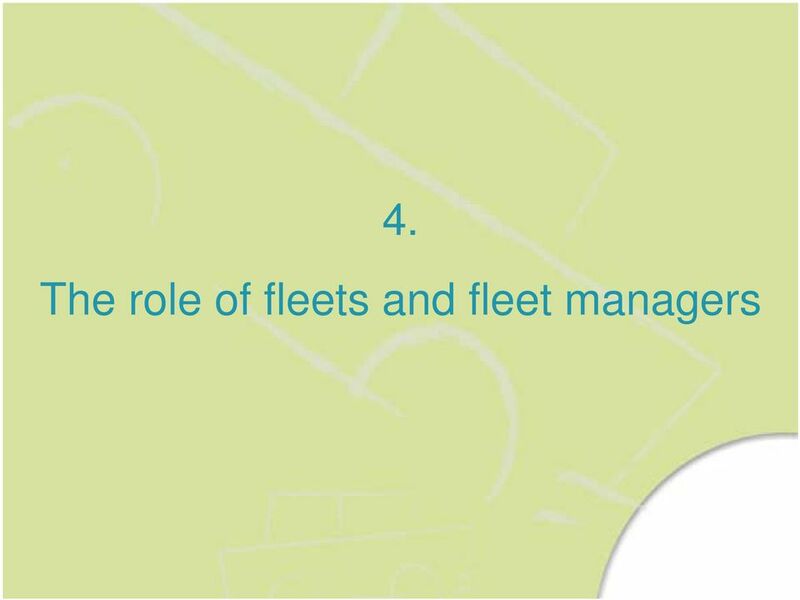 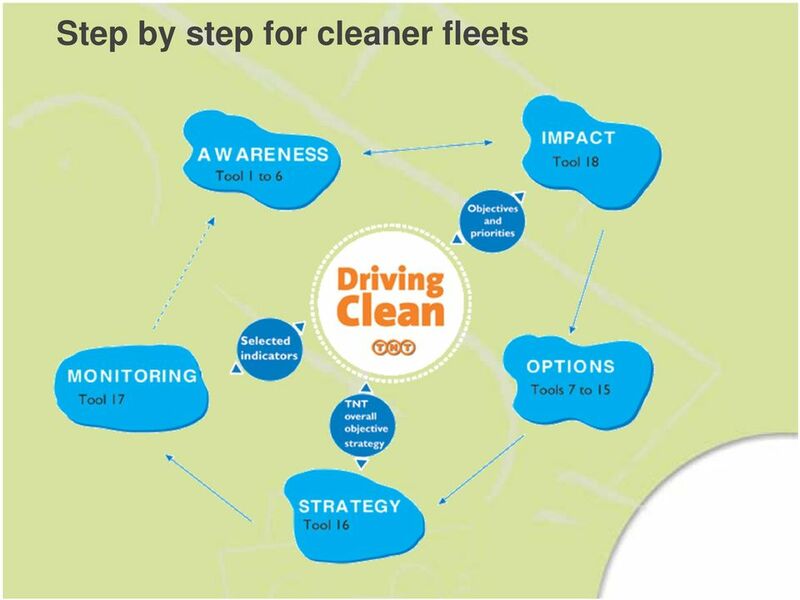 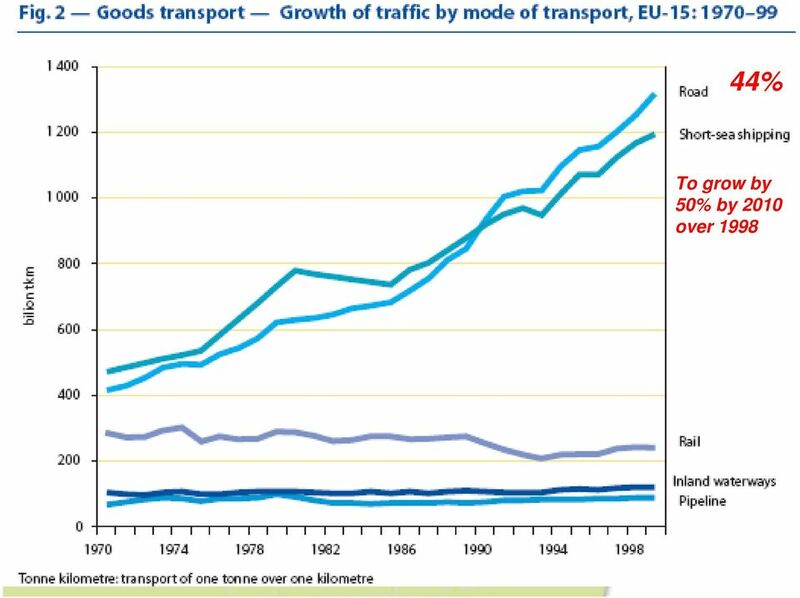 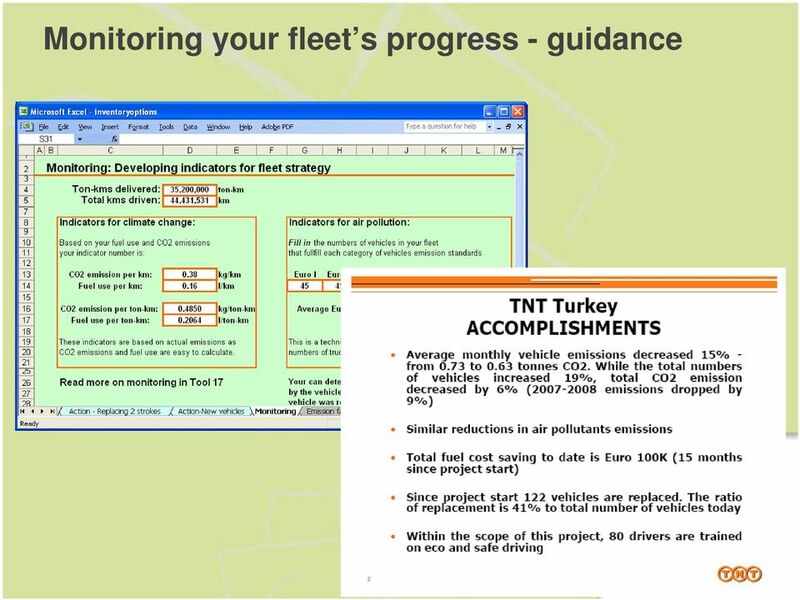 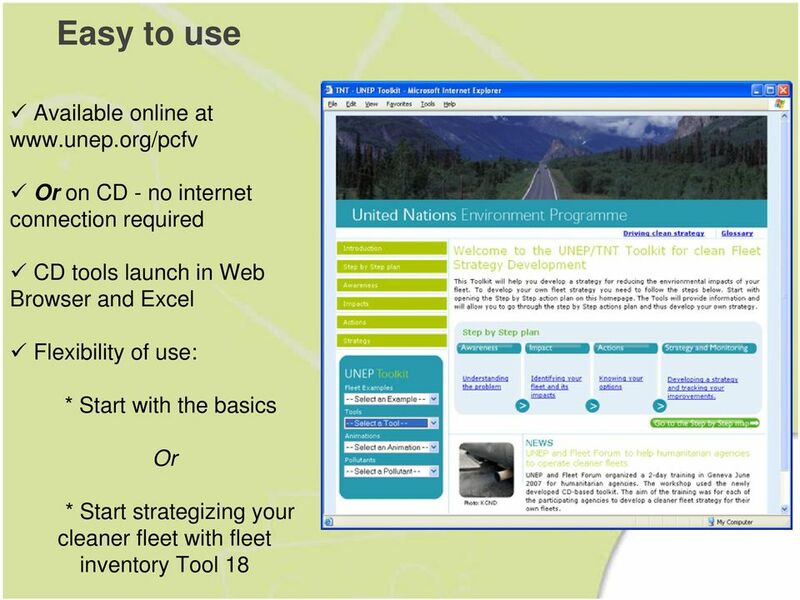 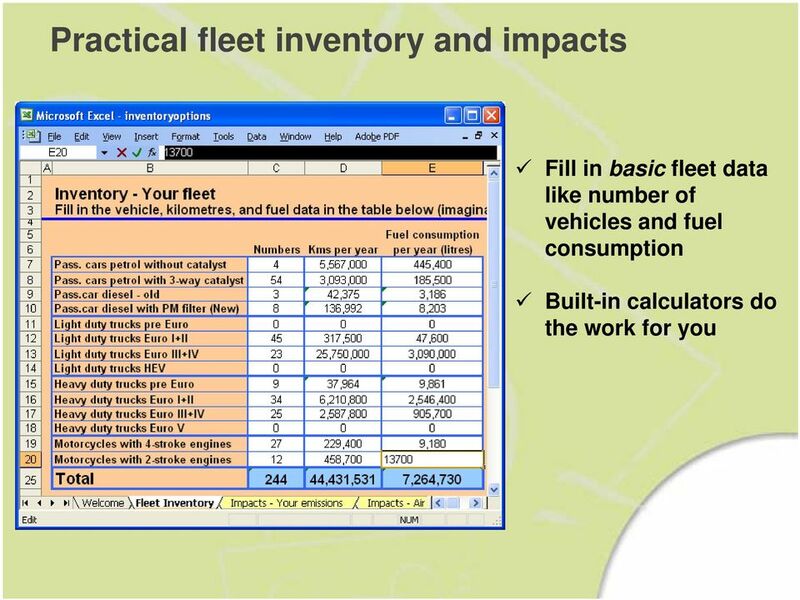 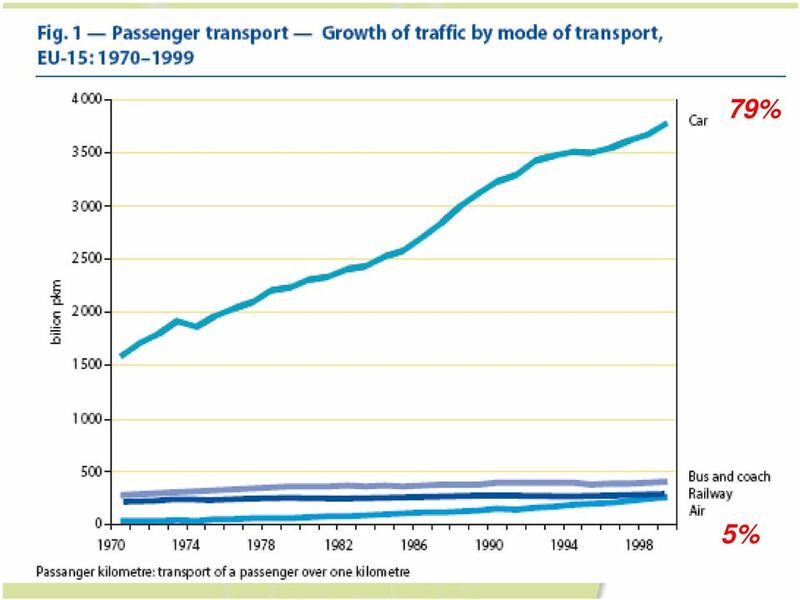 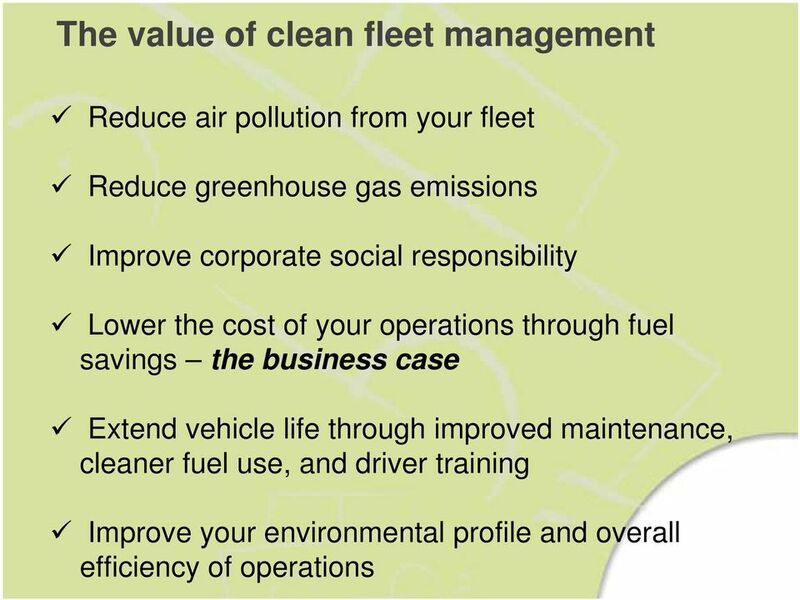 The role of fleets and fleet managers"
12 Calculate fleet emissions Your Fleet Emissions May Consist of: CO 2 : ton NO x : 179 ton PM 10 : 9 ton But what are the realworld effects of 9 tons PM 10? 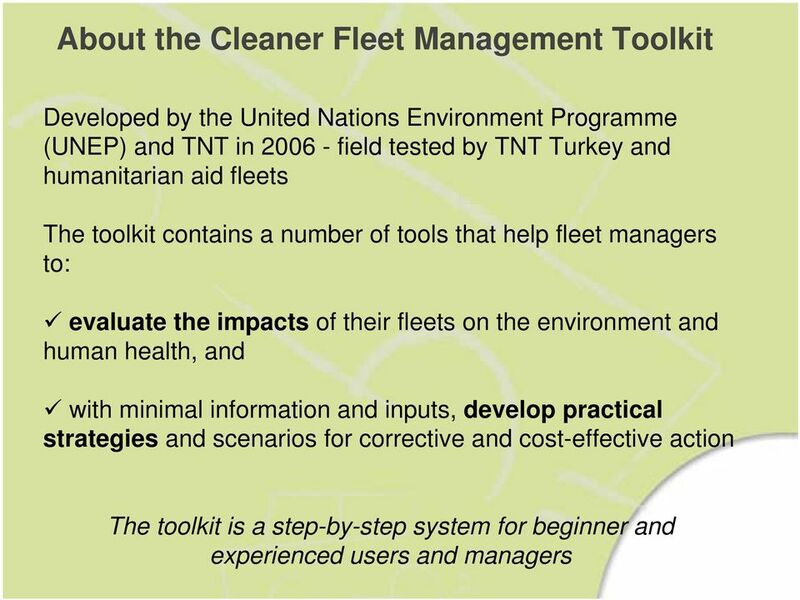 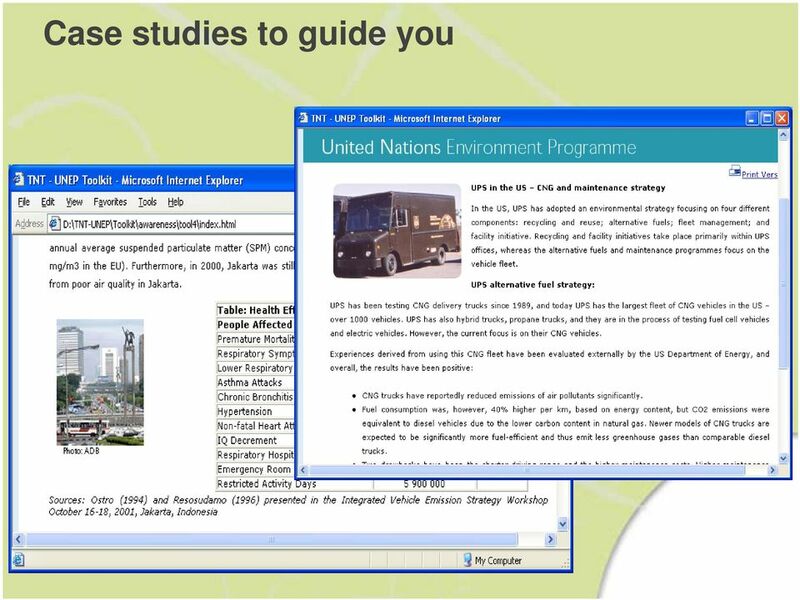 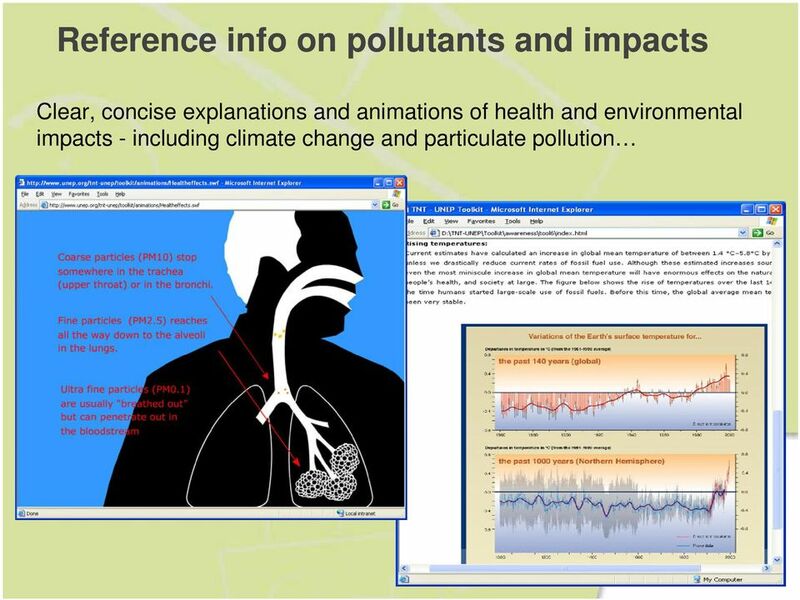 The Toolkit explains impacts in terms of human health and environment. 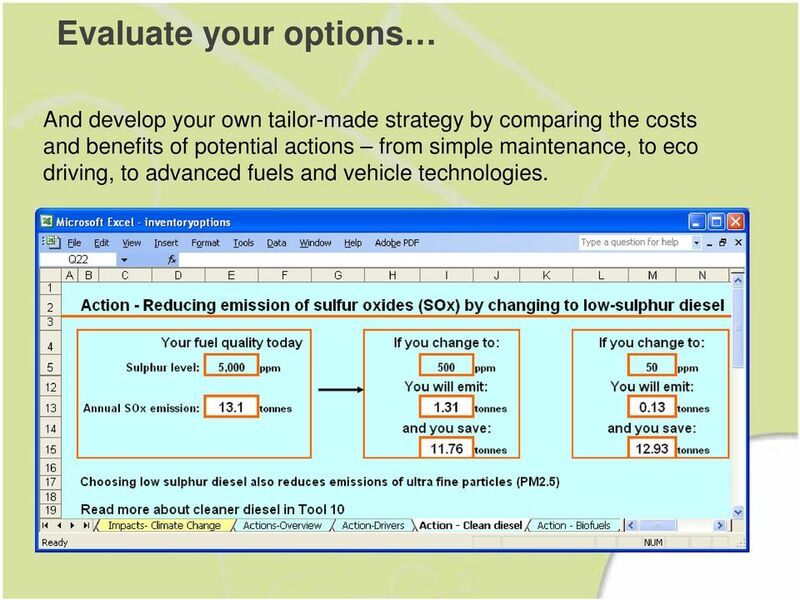 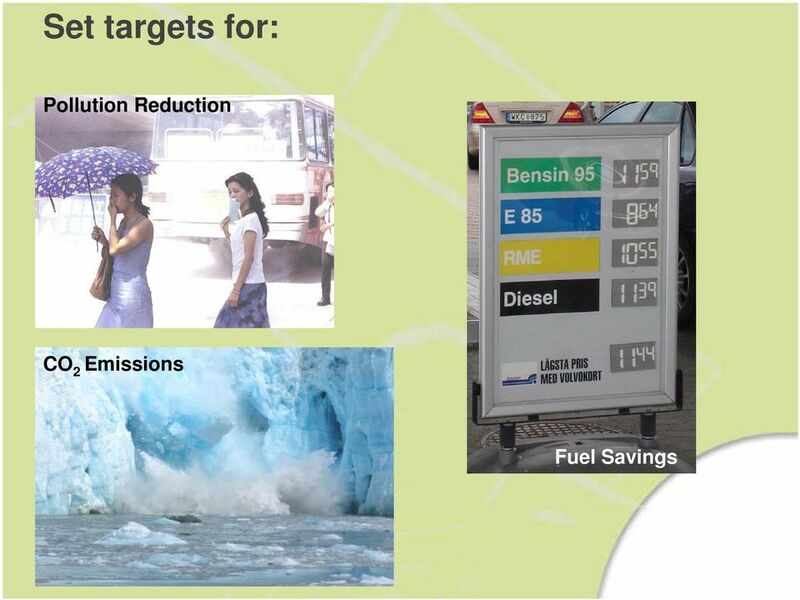 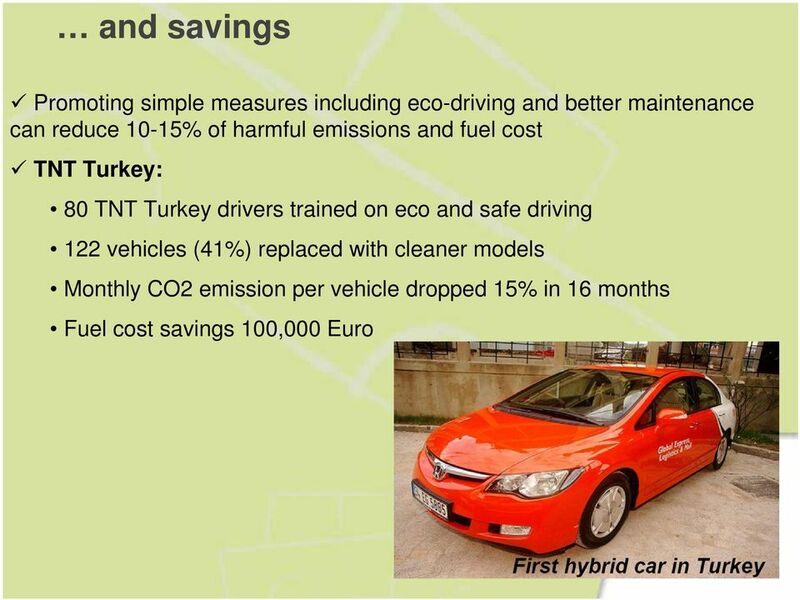 13 Evaluate your options And develop your own tailor-made strategy by comparing the costs and benefits of potential actions from simple maintenance, to eco driving, to advanced fuels and vehicle technologies.